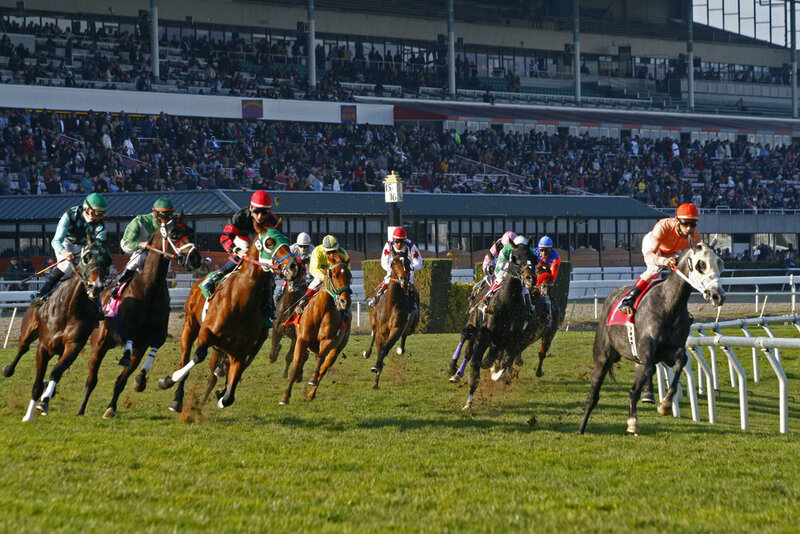 Golden Gate Fields is one of North America’s fastest growing racetracks in terms of handle growth. But that’s only part of the story as Giles Anderson found out when he recently sat down with Golden Gate Fields General Manager and Vice President David Duggan. GA: You’ve been at Golden Gate Fields now for nearly eighteen months, running the track since October 2017. The figures from your first winter/spring meet were up massively, and then the summer meet was up 29%. What have you done to achieve such staggering growth? DD: We made a lot of changes. It became quite a fast-moving, changing environment. What we discovered was that we have a lot of people who've been here for many, many years, but there hadn't been any adrenaline shot given to the place for quite some time, so we did change it, but it wasn't necessarily all down to me. There was a lot of people involved in this, and I was keen to have a younger crew in the management of the facility. They're great at connecting and they understand what their friends and colleagues are thinking, and they tell me. I feel all the talk about getting the young people in, and we have an aging demographic that follows horse racing. The only way to connect with young people and the millennials, and all these different groups that people are putting together now, is to listen to young people and that's what we have. We've spent a lot of time since I came here, both myself and Cynthia Sidle—my special operations manager in San Francisco. We speak to and go and shake hands and meet lots of different groups. We've made a very big effort in Chinatown because I obviously know the Asian market quite well. We take bus loads of them to come out here on a Saturday to see us. We've spent a lot of time with the LGBTQ community and we've had some very, very successful events with them as well and indeed the Hispanic population which is very, very big in the city. We have a specific Latin festival here in the summer which is very, very well patronized as well. What we've discovered is we can sit and hope people are going to come. In the greater majority of time, we've actually had to go out and get the people and bring them here. There's so much talk that the world of horse racing has become very, very small through various means, but there's so much talk about attracting younger people, getting younger people to come to the races. That's all very well, but you've got to be proactive and you have to do something about it. If you make the effort to get people and bring them to the racetrack, they will come back. But was the handle growth mainly off track—is that where the growth was coming from? 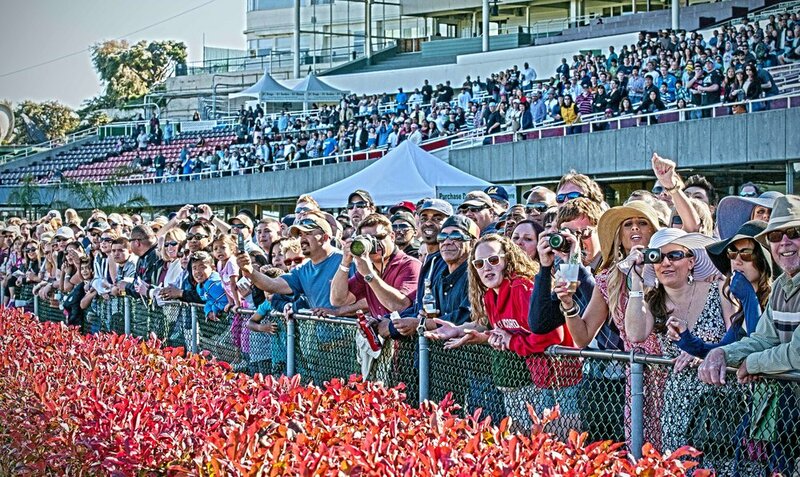 We worked hard with the racing office to increase the field size, therefore a lot of eyes around the country were on us. We also paid particular attention to the post times because on a weekend in particular, it can become quite a congested program because you have action on the East Coast, you have action on the West Coast, and you have action in Florida. It's very important to keep an eye on when everybody's coming out of the starting gate. We're very keen, and we watch them very carefully and we get a lot of help. If we need to move or wait a couple of minutes until somebody finishes, that's what we did. When we looked at the figures, it was evident that we were clashing with bigger meetings; it was the “clash of the Titans” really. We were going off at the same time as Saratoga or Keeneland or Belmont, and we were going to lose every time. It was like a heavyweight mismatched boxing match. We had to adjust that and that was a big help, but export was great and amazingly enough of our own track figure—people betting on us, on the facility, etc. was very good too with the increased attendance, but our figures across the board were good. What's your average field size been? Our average field size has jumped. I think we're about a 7.2 and we're heading in the direction of 7.4 at the moment. That's a big, big jump from early sizes (late 5’s). You’re in a unique position having the only artificial surface on the west coast. That must be a big strength for you? Although we've got lots of different artificial surfaces worldwide, the Tapeta track is sensational. We've got a beautiful, beautiful turf track here. It's very mature and it really is tremendous. In fact Tom Queally, who was Sir Henry Cecil's jockey, was here for a season last year, and he said it rode as good a turf track as any. When we do have to come off the turf, when we have heavy rain and we go onto the Tapeta, it's a very seamless transition and we get very few scratches. It takes the weather really well. It really is a great all-weather surface. I know Tapeta and Michael Dickinson won't thank me for saying all-weather, but it is Tapeta surface; but it's extremely durable, very kind and it's got a great cushion on it. The equine injuries are way, way down and there's very little attrition off it. It's really a wonderful surface. The horsemen love it. It's great to train on and it's very durable. I think that's the key. There's a lot of horses out there in the morning. It's very easy to maintain as well. Once you follow the guidelines as set out by the manufacturers, it really is terrific. Well, we can hold something in the region of 1,400 horses. I think we've got 1,350 odd at the moment, so we're very, very full. A lot of that credit goes to Patrick Mackey and his racing team down there. Patrick and I went out and we went to the East Coast. We went to tracks that would have similar surfaces to us, and we got some trainers to come here from there. It's not as easy. We haven't got a great pool of horses around us so we have to go and get them, but we're very full at the moment. We've also got some excellent trainers. Last summer, the Northern California off track wagering deal was seemingly threatening the future structure of racing in this part of the state. Has any progress been made? Very often in California it's a place of political influence, and sentiment outweighs economic reality, which in itself is puzzling, but that's California. It's a very different state. It's a very heavily regulated state, and that transcends down to horse racing as well and the administration of horse racing. Tim Ritvo is very keen to provide a better grounding for our trainers with regards to what they get back and the purse money gets back. That's an ongoing situation at the moment and that'll continue to play out, I would imagine, well into 2019. We'd love to be year round. We always put in our application for as many dates as we can possibly have. It's a shame in many respects that we don't race in the summer because we've got such a fabulous turf track that holds its moisture so well; and we'd love to be racing on the turf, but we don't for the greater part of June and July, and we start back in August. It's regrettable but it is the way it is. Hopefully one day the time will come when we can race in the summer. Where do you see the role of the fair meets? I think the fairs are part of the fabric of Californian society and there's no denying that. Whether they continue to exist in the current format, it will be interesting to see how that plays out. But they've been here a lot longer than me, and they probably will continue to be here a lot longer than me. We do our very best to accommodate them. The majority of the horses that are stabled at Golden Gate Fields race indeed at the fairs. I think there will come a time where perhaps economic reality will outweigh political sentiment. It's important to recognize at the very least that they are part of the fabric of our society in California.